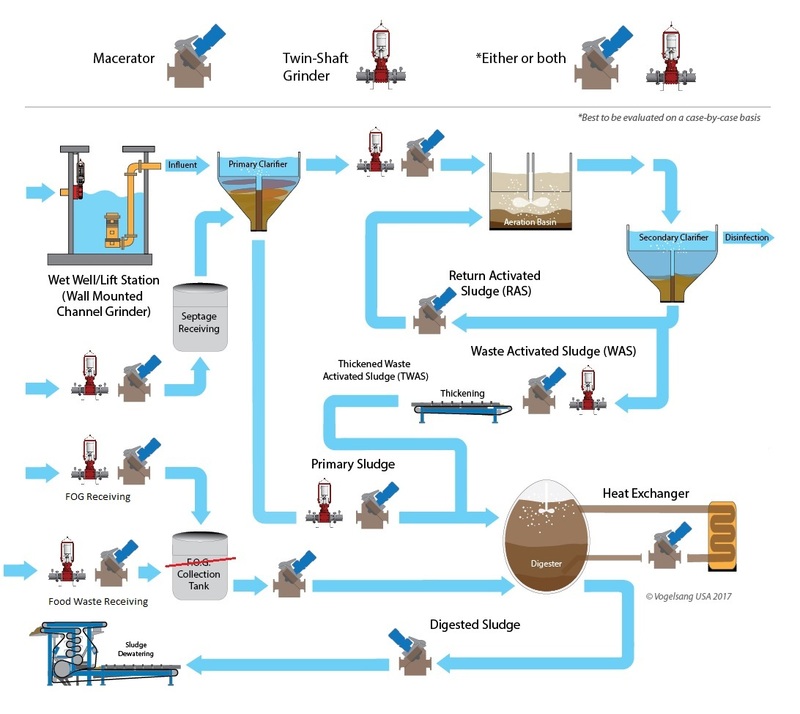 Most wastewater treatment plants have installed fine screening in the form of step, perforated or drum systems to remove the overwhelming debris coming into the plant. This equipment definitely assists in ­removal of a majority of the debris, but it still doesn’t collect everything contained in the influent. 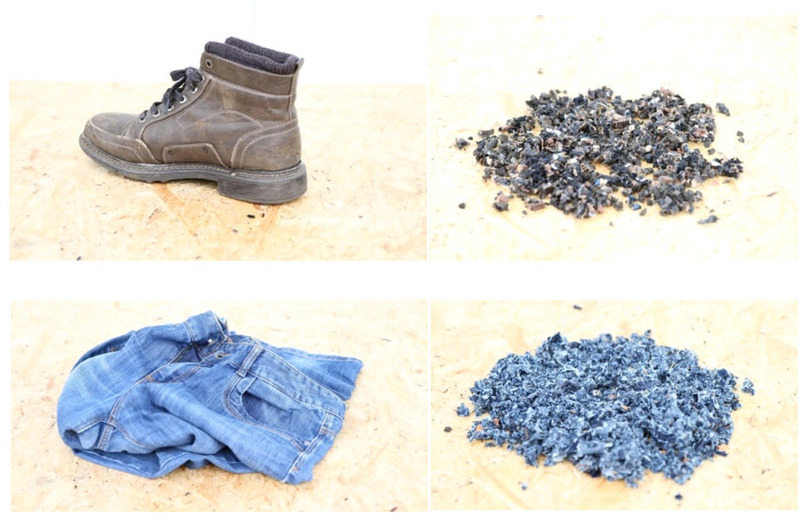 Invariably, various types of debris will find its way though, including flushable wipes, string, rags, hair, plastic fragments, applicators, plastic bags, wood, rubber and more. Having this type of debris in the wastewater stream leads to clogging, blockages and damage to downstream pumps, valves and processing equipment. Naturally, this adds to your overall maintenance time and contributes to parts and labor costs. However, specially designed equipment exists to protect your pumps and systems against this foreign debris. This “solids reduction” equipment can grind, shred and cut this debris down into particle sizes that are passable by pumps and other equipment. What types of solids reduction equipment are available? Outside of screening systems, solids reduction equipment typically falls into two categories: macerators or planetary grinders, and twin-shaft grinders. Maceration technology provides the best results when installed after primary screening or headworks systems. These units are specifically designed to sheer cut any material that flows through. Some designs provide heavy debris removal traps along with them, as macerators are not designed to cut hard solids like rocks and metal. Twin-shaft grinders operate using two counter operating shafts with cutting blades attached. As the cutting blades turn, they pull solids that are moving around the radius of the housing into the center between the cutting blades. This is a straight through process, moving product through the grinder without a debris trap. Which type of solids reduction equipment should you use? Macerators are designed for in-line pipe installations. Macerators need to have liquid flowing through the pipe, as they cannot run dry. These units tend to do better with small solids like hair, wipes, rags and plastics as compared to large heavy solids. But don’t be fooled, wadded up rags and wipes are just as troublesome to pumps as wood or metal, for which macerators can provide ideal protection. Just remember that macerators are best suited for refined cutting after the headworks of a wastewater treatment plant. Twin-shaft grinders are designed for both in-line pipe installations and channels. These units can run dry continuously and can handle medium-to-large solids where you need to protect against damage to downstream pumps and equipment. Here are two examples of cutting results between the two solids reduction products. 10mm Nylon Rope: The twin-shaft grinder shredded the rope where the macerator exposed and cut the inner filament. Q-Tips: The twin-shaft grinder cut most of the shafts and shredded the cotton, where the macerator produced fine consistent pieces. Note, because a twin-shaft grinder is often placed in front of the headworks or in lift stations far from a treatment plant, it could encounter much larger debris. That might not always include a boot or a pair of jeans, but know that a well-designed unit should be able to handle such material as shown here in a testing run done by Vogelsang USA using an XRipper Twin Shaft Grinder. 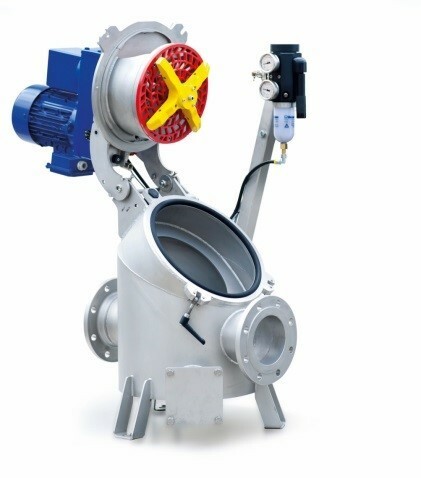 Every situation is different, and while a twin-shaft grinder is suited for most any application where solids reductions is needed, you’ll find that a macerator often provides much better performance as you move further into the wastewater process. 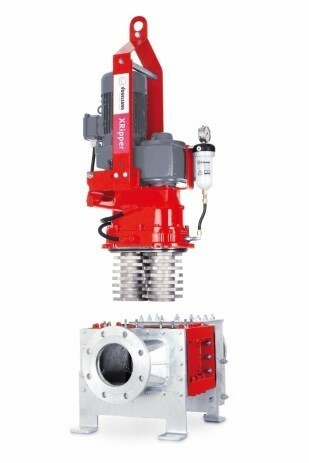 For questions or assitance in choosing a solids reduction unit, contact Vogelsang for a quote.